The people of Oxfordshire are being invited to take part in the search for the best painter and decorator in the region. Organised by the Oxford Kidlington, Cowley, Abingdon and Banbury Dulux Decorator Centres, along with Jack FM, the region-wide competition aims to find ‘the superstar of decorating’. 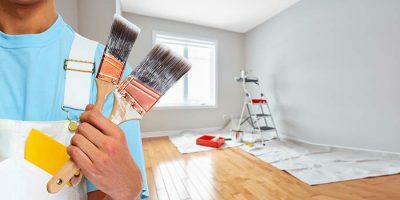 Along with the title of Oxfordshire’s painter and decorator of the year, the winner will win £1,000 in Dulux Decorator Centre vouchers for themselves and a Dulux Decorating Academy training course of their choice up to the value of £250. Two runners up will win £500 in vouchers for second place and £250 for third place to spend in Dulux Decorator Centres. While all five finalists will receive a Dulux goody bag. A shortlist of five will be drawn up by a panel of expert Dulux Decorating Centre judges but it will be the public that will have the final say – getting a chance to vote for their favourite throughout December. For any competition related questions please visit the Dulux Decorator Centres in Oxford Kidlington, Cowley, Abingdon and Bambury. It’s Show Time for DDC!